Finns Party Chairman Halla-aho Says “It’s Very Important His Party Joins Next Government”…….. – The Tundra Tabloids……. 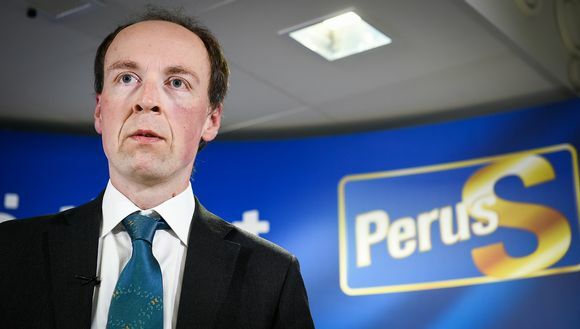 Finns Party Chairman Halla-aho Says “It’s Very Important His Party Joins Next Government”……..
Jussi Halla-aho dismissed remarks from the NCP, Centre, and SDP that they would not invite his nationalist Finns Party into a coalition as “pre-election talk”. Finns Party chair Jussi Halla-aho says his party is ready to cooperate as a member of a new coalition government after the upcoming general elections in April. In an appearance on TV1’s Ykkösaamu programme on Saturday, the leader of the anti-immigrant and Eurosceptic party said that he felt the Finns Party’s inclusion in the new government was “very important” as a goal. Halla-aho dismissed previous indications that the Social Democratic Party (SDP) would join the National Coalition Party (NCP) and the Centre Party in rejecting the Finns Party as a coalition partner if voted into power. “I would think that these statements are directed to their own vacillating supporters who might be considering a vote for the Finns Party. Their message is ‘don’t vote for the Finns Party because there will be no government cooperation with them’,” he said. Halla-aho has set a target that his party’s support should increase in the next election from the appropriately 9.6 percent support polls showed the party enjoyed when he began his stint as party chair in June 2017. “I’ve set myself a personal measuring stick that our support has to grow and the number of MPs we have in Parliament must also improve. Otherwise, I don’t feel as if I have succeeded in my job,” he says. Centre Party leader and Prime Minister Juha Sipilä and NCP chair and Finance Minister Petteri Orpo promptly kicked the Finns Party out of government after hardliner Halla-aho was elected in 2017, a move that was followed by 20-odd Finns Party MPs leaving to form a new party now known as the Blue Reform that replaced the Finns Party in government. Halla-aho says that his political party is in better shape now than it was during his predecessor Timo Soini’s long reign. “I’m not worried about the future of the party at all anymore. I believe that most Finns Party members would agree that any moral rot or corruption left the party in 2017. Pushiness and ideas of personal gain also went away,” he said. During his television interview, Halla-aho also commented on recent statements from Foreign Minister Timo Soini, who said that acquiring more trained health professionals from the Philippines might be one solution to understaffing problems in Finland’s care homes. “Filipino nurses can’t manage any better in Finland on lower wages than Finnish nurses can. Cheap labour keeps salaries low in these lines of work, and that is the purpose of cheap labour,” Halla-aho said. Previous Post Previous Post Judith Bergman @ Gatestone: Sweden Prosecuting Pensioners, Welcoming ISIS……. Next Post Next Post Finnish tabloid columnist: Finland now paying a heavy price for its naiveness – asylum seekers are a national security threat…….